I hope all who attended the 84th STR Banquet at Derby Lane had fun, enjoyed each others company and the food. I would like to thank everyone who sponsored, attended and the Roundup Board of Directors for another great tournament. If you still feel the need to hold onto some chrome; there are tons of fish in the bay right now and should be as long as the water stays warm. Your BoD will begin planning the 85th STR in just a few months so if you have any ideas about how to increase angler participation or know a sponsor that might want to support us please get in touch. Our 2018 Awards Banquet will be held August 25 at Derby Lane. Tickets are $30 for adults and $20 for children 14 and under. Please fill and return the reservation form to save your seat. Reservations must be received by Aug. 15. Congratulations to Ms Debbie Miller for winning the 84th Annual Suncoast Tarpon Roundup Finale Day and to Charlie Crisp and John McLay for placing 2nd and 3rd respectively. We hope everyone that qualified and was able to fish enjoyed a great day on the water. Finally some nice weather. I also hope we will see you at the banquet on August 25th at Derby Lane. A Banquet Reservation form will be sent out via email and will be available to download on the net. Paid reservations will be required to attend. 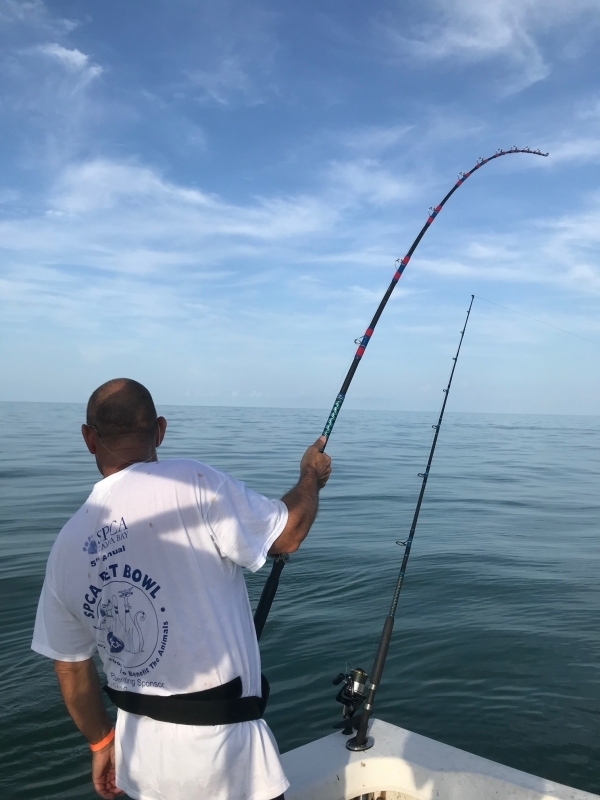 Thanks again for fishing the Suncoast Tarpon Roundup….See you at the Banquet!